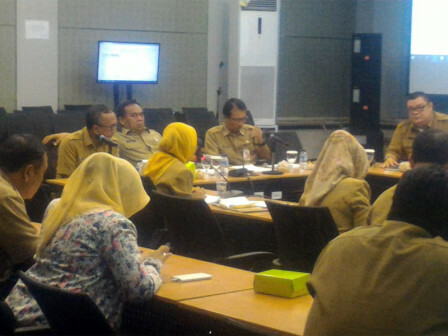 A meeting with several SKPDs was held by Jakarta Secretary, Saefullah to discuss about work program target in 2019 at Block G's Pola Room, City Hall, Monday (1/7).
" Governor has instructed us to reach at least 40 percent in budget absorption between January-June"
He expects each SKPDs can optimize their work programs this year thus budget absorption percentage can be seen to increase significantly. "Governor has instructed us to reach at least 40 percent in budget absorption between January-June. It means, we should not delay our work thus work can be finished earlier before end of the year," he stated. Several SKPDs attended this meeting were Social Department, Transportation Department, Industry and Energy Department, KUKMP Department, and Manpower and Transmigration Department.